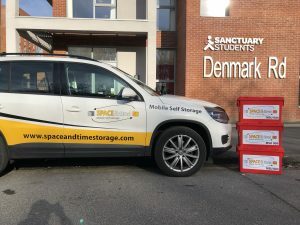 Every year thousands of students studying at the University of Manchester, Manchester Metropolitan University and the other educational institutions in the Greater Manchester area are faced with the prospect of having to find secure storage for their belongings during the holidays. In addition, many of them will be heading off for a gap year or they may be waiting to hear about an exciting job opportunity in another part of the UK – or even abroad. With so much to plan, you won’t want to waste time stressing about where to store your gear. 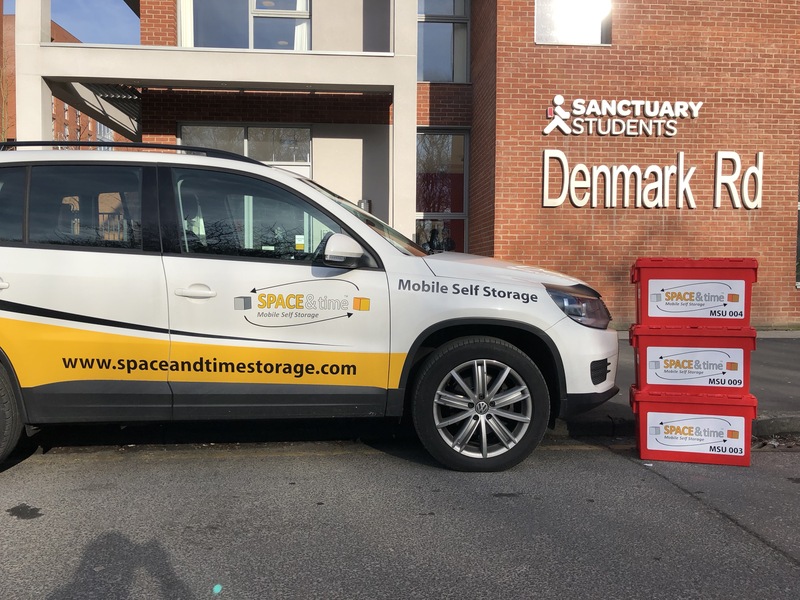 At Space & Time, we have over 15 years of experience in providing cost effective, easy to arrange, tailor-made student storage solutions in Manchester. Most self storage companies will expect you to take your belongings to them – not easy if you don’t have a car or a van or have to rely on family or friends. We also know that you won’t want the added stress and cost of hiring one, let alone having to find your way to the facility and then unload everything. We’ve made things simple because we do all the leg work. We deliver boxes to you and then, once you’ve packed them up, take them back to our secure storage facility in or around Greater Manchester. We guarantee the best possible prices because we only charge for the number of boxes you store with us – unlike other storage companies who insist you take a minimum size storage ‘unit’, where you’ll often end up paying for fresh air. We don’t have ‘one size fits all’ storage charges as every student needs a different solution and we charge according to those individual needs. So if you decide you need to add an extra few items, then we will only charge for those – you won’t be made to take a larger size ‘unit’ and waste more money on space you don’t need. What’s more, we can even store individual bulkier items, such as furniture, suitcases or your sports kit. As we only charge you for the time your belongings are actually in storage, if your plans change and you want your things sooner, we’ll refund the difference. We’ve developed a simple but flexible booking system that shows a tally of your charges at each step and allows you to make changes if you need to. To start booking, just navigate to our home page via your smartphone, tablet or PC and then tap or click on the ‘Get Started’ button. You will be led through a few steps beginning with your location (‘Manchester’ in this case), selecting the number of boxes that you need (each one measures 57x47x36cm) and when you’d like them delivered to you. Another step will be to sort the date when you’d like us to collect your packed up boxes. If you plan to use your own boxes, they need to be robust and please check our guidelines with regard to the sizes and weights we can accept. You’ll find more information about this on our FAQ page. You can relax knowing that we give security top priority at our storage facilities, which are protected by the latest security systems with digital CCTV and alarms. We are fully insured whilst in storage and during transit. You will have chosen the return date for your items at the time of booking your storage, however if your plans change and you’d like your belongings back on a different date or even sent to a different location, we can sort this for you. Our network means that we can deliver to anywhere in the UK and we can also ship to most countries around the world. If you would like to find out more about our student storage solutions in Manchester, please call us on 0161 207 1260.